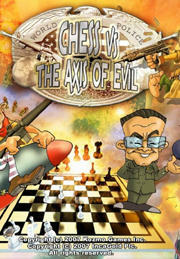 Chess Vs The Axis Of Evil is a chess game where the figures are swapped with parodies on real or fictional persons, e.g. 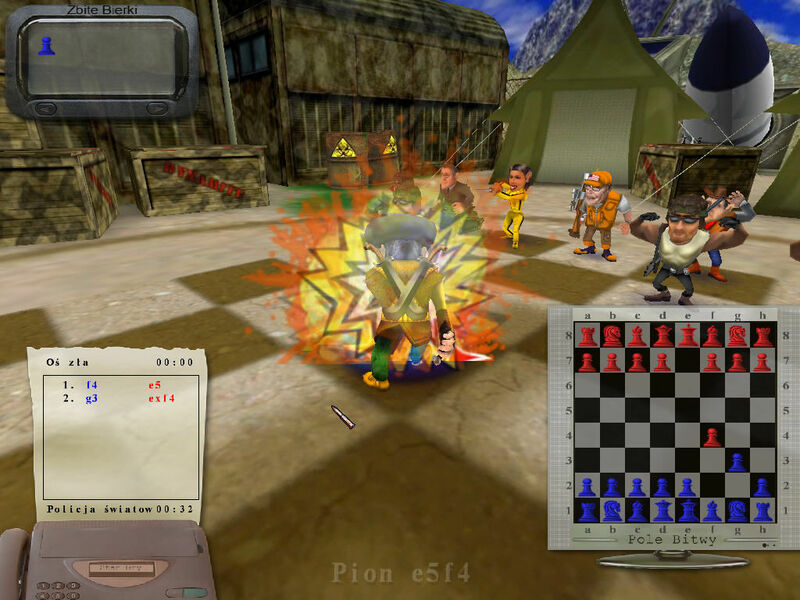 George W. Bush, Osama bin Laden or Dr. 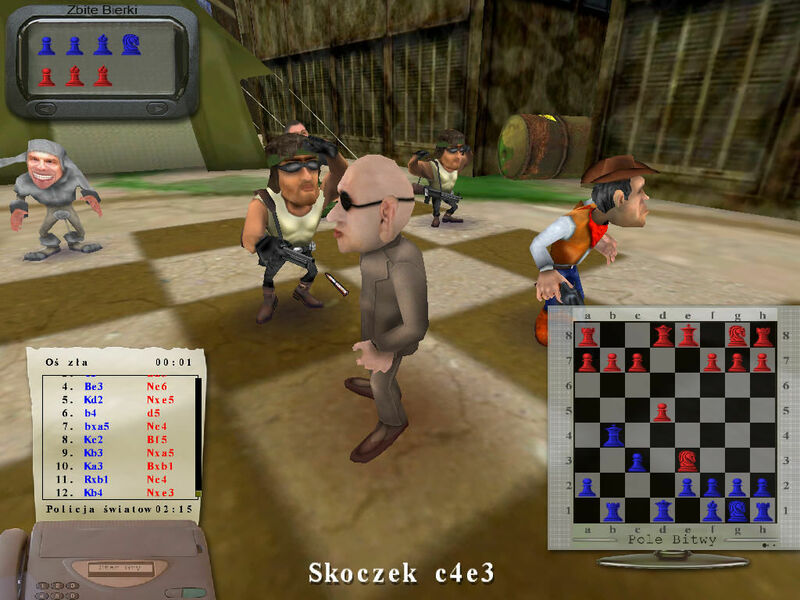 Evil from the Austin Powers movies. 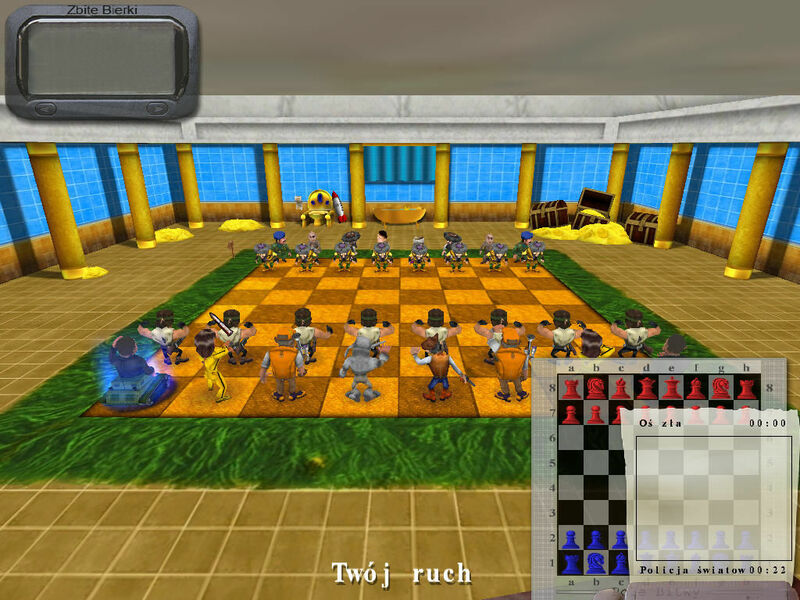 Every time the player or the AI makes a move the character walks over the chess move and, if it beats another figure, shows a little fight animation. 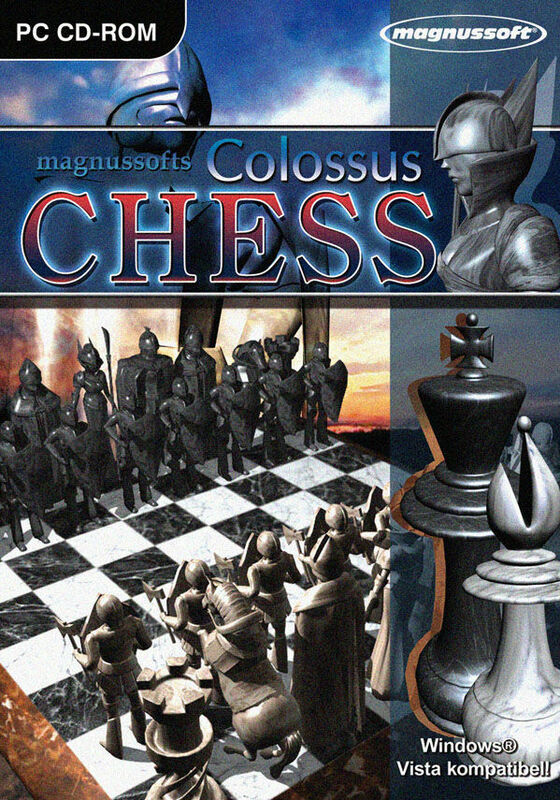 For better overview the moves itself are ordered on a classical top-down chess-board which is displayed on the lower right corner. 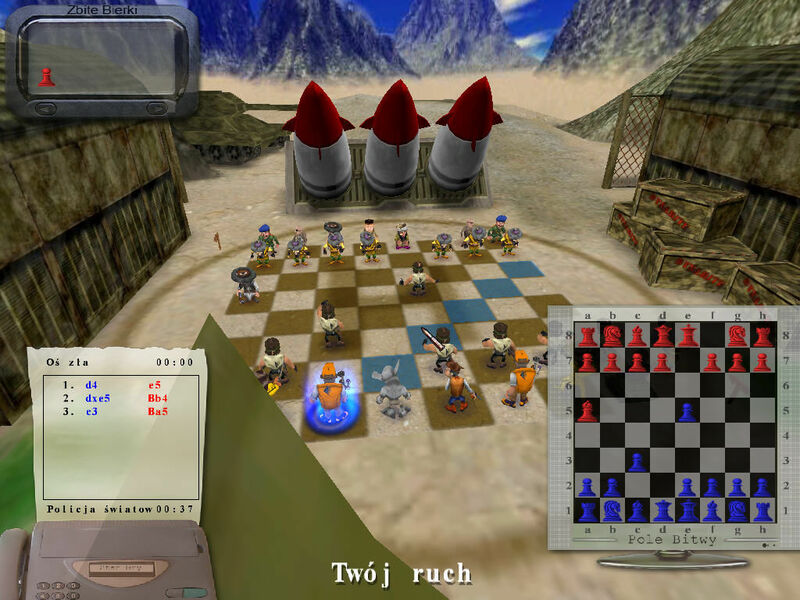 The game features six chess boards, e.g. Saddam Hussein's palace.